Adding Level IIIA Soft Armor is as easy as ticking a box. 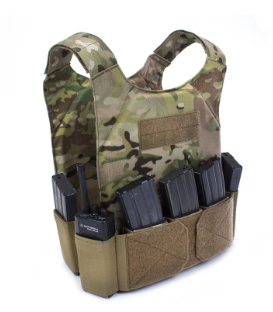 Just check the box below the Color Choice drop down menu and you'll have the ultimate carrier with custom fit soft armor rated for Pistols. We carry a broad range of NIJ 06 Certified Level IV Rifle Plates that work perfectly with the Covert alone or with the Covert and Soft Armor.